UK L&D is about to be hit with a big hit on their budget. Are you prepared? L&D will soon be faced with a jolt to their system. A LEVY will be taken, by law, from their coffers. How many have planned for this even is anybody’s guess but here’s a few questions you need to be able to answer. A compulsory payment of 0.5% of payroll. It is expected to raise £3 billion annually. . This was a manifesto promise to create 3 million apprenticeships by 2010. Organisations with a payroll greater than £3 million have to pay and that’s about 14,000 employers. There is an offset against payroll of £15,000 so ((roughly) organisations with more than 108 employees, earning the national average salary (£27,600), will have to pay the levy. For some this is thousands, others millions. 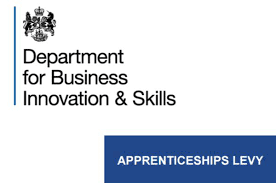 It is likely that SMEs will benefit in that they will still receive funds for apprenticeships, even though they will not have to pay the levy. There will be a voucher system, designed to track what you can draw down to pay a training provider. This is a flip from the traditional paymaster (Skills Funding Agency) to employers, so you have choices. What about Scotland, Wales and NI? A proportional portion of the budget will be calculated (most likely on the Barnett formula) for these countries. How long do you have to plan for this event? You have 14 months to get your plan in place as it starts April 2017. You need to know where the money is coming from and what role you want to play in the execution of its spend. This will happen folks and many already have formed alliances, pooled resources and know what they are doing. Others are in the planning stage. But many haven’t a scoobie about what’s happening, its implications and have done no planning at all. The danger here, if you have not planned for this event, is that you will lose out in favour of those who have plans in place. 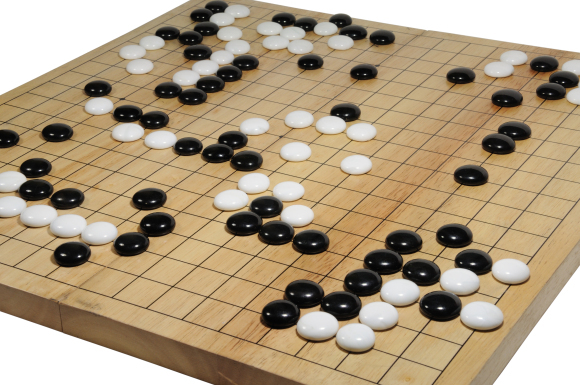 So Google (through an acquisition - Deepmind) stuck a camera in front of the notoriously difficult, 2500 year-old game GO, and it beat the European Champion 5-0. (It will take on the World Champion in March.) It uses a layered neural network with an executive or policy network to decide on each move. The clever thing was the training. The neural networks were trained on 30 million human moves then it started to play itself, using a trial-and-error process (reinforcement learning). This needed the gargantuan power of the Google Cloud Platform. This is a huge breakthrough as it shows that AI can take on much higher levels of difficult decision making tasks, those currently thought to be uniquely human. AI has moved from theory to practice, as companies find a range of real applications for smart software. Almost all major tech companies reflect this in their AI investment strategies. As the Age of Algorithms is now upon us, we need to understand that this is a radical shift in the way we use technology. We are only just wakening up to the fact that it will transform the learning landscape. I have previously defined a 5-level Taxonomy for the use of CogTech in learning. There are already many examples of CogTech being used in the learning game, many more are on their way. CogTech is technology that attempts to do things that minds do. This is not to say that the technology copies the mind, even the brain. We didn’t invent flight by copying the flapping wings of birds. It does mean technology that was traditionally the domain of the mind – that means many things that professionals used to do. CogTech is not one thing, it is many things. Most of these things have relevance to teaching and learning. Computer vision can recognise images for search, even recognise faces for authentication in online assessment. Speech recognition can transcribe speech on YouTube videos and formatively assess in language learning. NLP (Natural Language Processing) can be used to automatically create online learning and help automate essay marking. Optimisation can be used to deliver personalised learning to learners. Adaptive systems can ‘satnav’ learners through learning experiences, based on individual and aggregated data. Machine learning can be used in learning systems to improve their own performance. Even robotics can be used to assist in teaching. All of the above are being used NOW. These technologies have the ability to transform online learning from the current era of flat, linear delivery to smart, inferred, feedback-rich, personalised, predictive, data-driven delivery. In short, the technology will increasingly deliver good teaching and learning. CogTech has already influenced many sectors; search, finance, sports, online dating, entertainment, health, retail and so on. The company to watch here is IBM. They have invested huge sums in CogTech and have a strategic intent, through Watson, to offer cloud-based intelligence. Healthcare is their big target through their Watson Health Cloud Platform. Then there is Google who have made over 20 CogTech acquisitions, including Deepmind, in just three years. This is a huge strategic move under their Alphabet restructure. It sees them move from the old Darwinian model of ‘lots of projects in the hope that some will stick’, to more focus on smart CogTech. Amazon, as an enhancement to Amazon Web Services has launched Amazon Machine Services. AWS is huge and may in the future dwarf their retail business but it will only do so if they innovate through machine intelligence, that they are doing. Microsoft, of course, has added Microsoft Azure Machine Learning to their Azure platform. They have to move away from their traditional PC and operating system business and they have. Facebook, Apple, SalesForce, Oracle, Cisco and Intel have also been building and investing in CogTech. The learning sector (education and training), for me, is ripe for a radical boost through CogTech. It is, after all, a sector that is NOTHING BUT the delivery of cognitive improvement. Using Cognitive technology is an almost perfect fit. It is also a sector with increasing demand, not only in numbers but also quality. It has high labour costs, and the current labour-intensive models have plateaued in terms of productivity. Huge sums have been invested in the developed world in the current, largely classroom/lecture hall model, with no concomitant increase in attainment. The model is crying out for scalable solutions, not on fixed, linear teaching and learning but on smart teaching and smart learning. Resistance is futile but reasonable and organised assimilation is desirable. 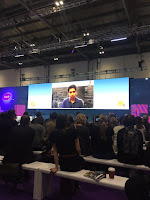 Good to see Salman Khan speaking at BETT, albeit by video link, rather than the all-too-predictable and fanciful Mitra. Salman Khan trounced Sugata Mitra’s gloriously irrelevant, utopian nonsense, with a level of relevance, detail and understanding that is always impressive. 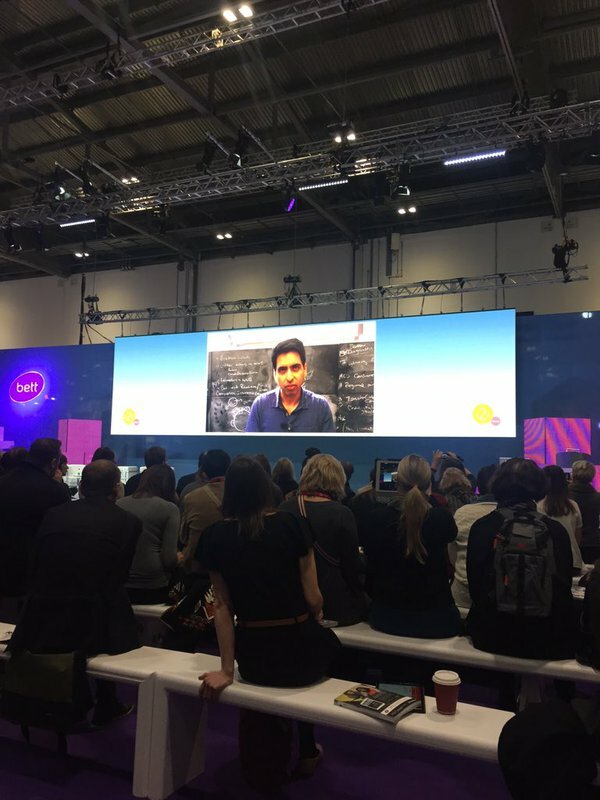 While Mitra talks a lot about education in the developing world with holes in walls, grannies and the hopelessly naive SOLE, Khan really has provided a free, world-class education for anyone, anywhere for hundreds of millions of learners. Khan's diagnosis of problems in some subjects, especially maths, has become known as the ‘Swiss Cheese Problem’. In a linear curriculum, with a large cohort of students, an assessment system that ignores mastery and demotivates through the wrong mindset in teaching and learning - large-scale failure is inevitable. He identified the problem precisely when he said that too many students in maths get moved on to the next topic without mastering what they NEED to know in order to progress. Most students are moved on with varying degrees of knowledge and skills, even the best performing students, with 80-90% scores still have a 10-20% shortfall. This shortfall varies from student to student, with often significant misconceptions and absences dotted around their mnds like conceptual holes in a Swiss Cheese. Khan’s solution, and I agree, is to close these personal holes and move forward through the subject in a peronalised fashion catching and closing the holes, one by one, leaving no holes left behind. In practice, this means less focus on summative testing and fixed grades. The emphasis, he believes, should be on far more formative assessment and adaptive learning that leads towards complete mastery. The only way to do this on the necessary scale, he thinks, is to use technology. We have never, in the past, had the technology that could deliver this level of adaptivity, while maintaining motivation. Now we have, he claims. There are systems available that deliver personalized mastery through smart formative assessment, formative motivation and smart realtime use of algorithms and gathered data, to both eliminate the holes in the cheese, as well as maintain motivation. I have been involved in such work, have seen the data and the impact. He is right. Like Wikipedia and MOOCs, whenever you mention Khan, you get that wrinkled face look and the educator’s favourite word ‘but….”. This is the Khan Academy’s tenth year of operation and it has been groundbreaking. Khan’s combination of an acute pedagogical analysis of the two key problems (mastery and motivation), both in the minds of learners and methods of teaching, are a real wake-up call. Technology is not about shoving devices into walls but using devices to close down the conceptual holes when you teach – that is what adaptive, personalized learning offers. Khan, for me, is way smarter than Mitra (or Robinson) and way further down the road in terms of real solutions. Why so few women in 2500 years of learning theory? In presenting my talk on 2500 years of learning theory and theorists, a question that I often get asked, is “Where are the women?’ True, they are strangely absent. This is not because of any conscious or unconscious exclusion on my part. The answer is stunningly simple. Women from the Greeks through the Middle Ages, up to the 20th century were largely excluded, not only from being educators but also being educated. It is a extraordinary story of exclusion. The dominance of religion and the fact that the dominant, global, religious leaders were all men, as were their zealot educators meant that women were largely ignored as educators and theorists on learning throughout the Middle Ages. The Reformation certainly helped with its push towards universal schooling but the exclusion of women from the very structure of educational elites across many religions, still meant institutional exclusion. We still live with an antipathy, by certain religious factions, towards the education of women. Even the Renaissance did little to improve the matter. Hypatia of Alexandria, a Neo-Platonist, is said to appear on Raphael’s School of Athens but there is an interesting backstory to her appearance. The funder, a Bishop asked, “Who is this woman in the middle?” “Hypatia, the most famous student of the School of Athens,” replied Raphael. “Remove her. Knowledge of her runs counter to the belief of the faithful! Otherwise, the work is acceptable,”. So he disguised her as the Pope’s nephew, Francesco Maria della Rovere I. The story, apocryphal or not, illustrates the Church’s antipathy towards women as educated intellectuals. We had to wait until the Enlightenment to hear women’s voices. 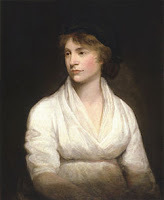 Mary Wollstonecraft (1759-97) was certainly the most original and radical (see my views here). Her attack on Rousseau’s attitudes towards the education of women resulted in a well reasoned defense of the education of women alongside men, for the sake of their own intellectual autonomy, not as Rousseau claimed (see my views here), for the pleasure of men. However, even here, her recommendation that the poor be excluded at age nine, shows a less than generous spirit towards educational equality. The astounding fact is that women were almost entirely excluded from formal education, it’s institutions and even as teachers. This was cultural and legal with girls either excluded from the process of education or, if included, steered towards the domestic and social skills they needed as a wife and mother. The very notion of what it meant to be ‘educated’ was very much a male concern across two millennia. It was not until the 20th C that a semblance of equality in education, opportunities in teaching and research became possible. The 20th century saw drastic changes, politically in terms of the right of women but also in the world of learning. The post World War 1 era saw large numbers of teachers emerge after the carnage of the war. Universities, colleges and teaching were opened up to women, as were opportunities to get degrees and positions in higher education. 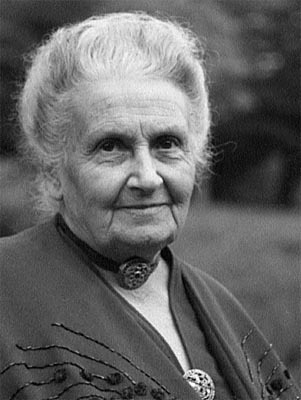 Montessori (my views here) was one notable example of a woman who had a real, practical and long-lasting impact on schools and schooling from 1909 in her Montessori Method, which has open classrooms, a looser approach to teaching, more self-directed but still a strong emphasis on method and materials. Her methods certainly seemed to help Page and Brin of Google. 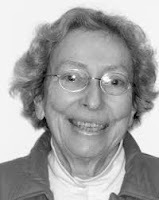 This struggle and the role of women in education is examined in detail by Jane Roland Martin (my view here), who saw the role of women in education as an unexamined topic. For the actual role of women in education across the ages she recommends we look not at established institutions but in more general literature and popular sources. She rightly states that the very concept of women, reflected in the academic bias in subjects, as opposed to the practical and vocational, the emphasis on schools, schooling and the ghettoisation of women into professions such as teaching and nursing. This wide set of perspectives was needed, she thought, in research into the role of women. More recently, in online learning, one could also say, ‘Where are the women?’, especially on the technology side of the online learning delivery. This is to be explained by the dominance of male figures in the founding and building of large, dominant tech companies. The reasons for this are complex, even rooted in education itself, where girls are subtly discouraged from taking STEM subjects. On the non-technical, side of online learning it is very different, where both learning and online learning is much more gender balanced and there are many women experts and practitioners who are active on technology based learning. There are few areas of human endeavour where women were so studiously excluded than in learning theory and practice. This was a process of deliberate exclusion but also because philosophical (Greeks), religious and even Enlightenment views, such as Rousseau, placed women in a secondary role. Even well into the 20th century women had to fight for recognition and that fight is far from over. I have not mentioned Myers & Briggs, as that episode is perhaps, best forgotten! Time and time again, when dealing with teachers and academics, who have been seriously involved in online learning, I have found that they gained enormously from the experience. They become better teachers. Every professional can benefit from deeper reflection on their skills and practices. Participation in the design, development and delivery of an online experience will broaden and deepen the process of reflection. This not only leads to better performance but to the acquisition of new teaching skills. This is an example of what John Hattie called Visible learning, when teachers make things ‘visible’ to enhance their role through the evaluation of their own teaching. Hattie thinks that Visible Learning and Teaching occurs when teachers see learning through the eyes of students and when students, to a degree, become their own teachers. 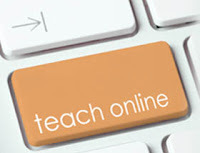 Online encourages a more evidence-based approach to both the profession and process. When you’re at a distance from learners you need to be a better teacher. Online learning lies naked on the screen, open to scrutiny in a way that is rarely true in the classroom or lecture hall. This forces you to be clear, precise and accurate. It also forces you to consider attention, chunking, elaboration, deliberate practice and other principles in good teaching that you may never previously taken to the wire. Invariably, the design, development and delivery of online content improves the quality of the content. Adaptive systems now even identify weak and erroneous assessment items. When thousands of students got an algebra question wrong on Coursera course, it had to be changed. Content production crystallises learning. If you’ve delivered largely chalk and talk in the classroom or lecture hall, you will now have to use text, graphics, diagrams, images, animation, audio and video to deepen understanding. This means cutting your text until it bleeds and lots of other editorial skills around the use of different media You will become more adept at understanding the power of different media in learning and finessing your media mix. See these lists of tips, some counter-intuitive, to understand the sheer range of these new media skills. As you sit at more of a distance, it gives you the opportunity, not to be the transmitter of knowledge but more of a facilitator. Free from the task of repeated exposition, you can become a true teacher, attentive to the problems learners have on specific issues. If you doubt this, try it. By automating some of your good teaching practice on the exposition side, you can focus more on the art and practice of teaching. You are suddenly free from the repetitive tasks of repeating the same basic expository content to become a true teacher. For a number of years I have been involved in online degree courses, where the online students never meet their tutors or other students. Yet year after year they outperform their campus colleagues on the levels of degree they attain. This is down to the detailed, structured, archived and frequent dialogue and feedback they receive from their online tutors, who are forced to use online structures. Keith Devlin, Professor of Mathematics at Stanford, and MOOC veteran notes that many students feel intimidated in speaking back to academics as they have “insufficient confidence” and thinks that “there is good reason to believe that human connection through social media may be enough to have whatever effect is provided by the real thing”. In truth, he thinks that “shy students can perform much better in an online environment”. “The fact is, a student taking my MOOC can make a closer connection with me than if they were in a class of more than 25 or so students, and certainly more than in a class of 250” says Keith Devlin. He reminds us, that “in a large class, the student is not going to get my individual attention, so there is no loss there in learning in a MOOC, so a MOOC seems to offer more of me than a student would get in a regular, large class”. Interestingly, Devlin designs his courses and the style of presentation around this sense of intimacy. “I set out to create that same sense of the student sitting alongside me, one-on-one. If you can pull it off, it’s powerful. In particular, if you can create that feeling of intimate human connection, the student will overlook a lot of imperfections and problems.” Far from being a disembodied experience, learners often report intimate and good teaching. Online delivery forces your hand on assessment. You can’t get away with primitive and destructive ‘hands up anyone’ strategies. You often have to identify, and tackle, common student misconceptions, as you have to counter them with concrete strategies. This is particularly true in adaptive courses, where you have to be explicit in the dependencies and networked structure of the knowledge. In addition, online automatically produces data. These analytics allow you to diagnose issues and take action, as a teacher, to improve the motivation and attainment of your learners. Try running a webinar online and you’ll soon learn to acquire skills on the use of the tool, monitor chat and questions, improve your presentation and teaching skills (see some tips here). In Arizona State University’s Biology BIO100 course, Susan Holechek, their most experienced instructor saw attainment rise from 72% in Spring to over 92% in the Fall, using an adaptive learning system, to enhance her teaching, “I think we had the perfect combination of a good system and good teacher” said the subsequent report. It is this combination of good teacher and good tech, in technology-enhanced-teaching, that makes a real difference to even experienced teachers. Like it or not technology, especially the internet, is a massively relevant cultural phenomenon. To ignore the online world, as a teacher, is to ignore the reality of changes in the world outside of educational institutions. There has, in my view, been more pedagogic change in last 20 years than last 2000 years, through the use of technology. Technology is more than a tool, it is part of every teacher and student’s life. In terms of relevance alone, it benefits teachers to understand and use what their learners are likely to use in their personal and working lives. A point so often missed is that the online teacher and academic is likely to teach many more students that they would have in classrooms and lecture theatres. A school teacher over a lifetime will only teach a few thousand pupils, a lecturer far fewer. If your profession is to teach, then reaching the minds of tens of thousands, hundreds of thousands, even millions, is surely a noble goal. Sure, there’s the intimacy of the classroom and the human side of face-to-face teaching. But rather than being behind closed doors in a classroom or lecture hall, online teaching forces you to become a more visible and, in my view, a better teacher. You hone existing skills, enhance others and learn new teaching methods. That stretches you as a professional.